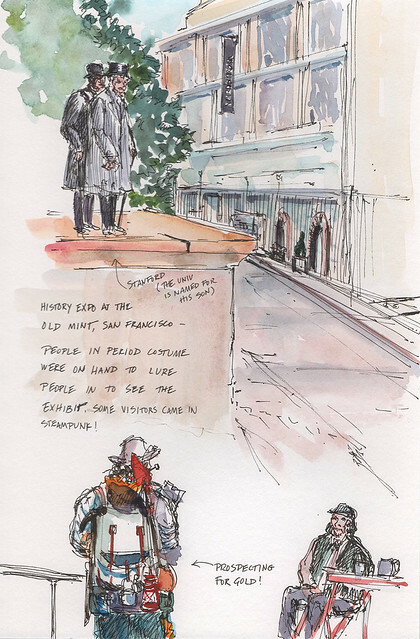 Last month I joined the SF Bay Urban Sketchers at the Old Mint. There were several people in costume promoting the ongoing History Expo. We enjoyed listening to their proclamations and chatting with the various role-players. Looks like a fun place for sketching! Nice! !